First I wanted to thank all of those that entered the Lay N Go giveaway. I loved reading through and seeing who you all wanted to win this for. All of you with kids who leave Legos everywhere…I feel you, I really do. Having three young kiddos who are big into Legos, the Lay N Go has been a life saver for us. 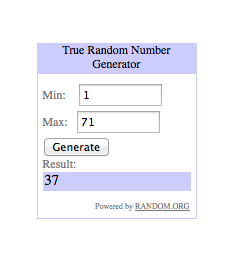 Enough rambling, it’s time to announce the winner! Adrianne: I’d like to win this for my daughter! Adrianne I will be sending you an email right now, I hope your daughter loves it as much as my kids have.